Most guys spend their entire life going to gyms, following a diet, performing endless reps and sets, and NEVER gain more than a few pounds of muscle. Yes, you may become very healthy, but if you are like me, you also want to see results. Many men start to think "maybe my genes just aren't made for size." Let's change that mindset. Rule #1: To gain the weight and mass that you would like you have to eat and lift big. It may seem obvious but the first rul is that you have to eat more calories than you burn. If you are struggling to gain weight, it's usually that you just simply aren't eating enough. Make sure to take in the right amount of protein and carbs each day. Carbs are very important when trying to gain weight. Rule #2: Double or triple your protein intake. A good rule I like to follow is you should take a gram of protein for each pound of your body weight. If there is a type of food you want to eat more of, your top choice should be something full of protein. Rule #3: Simple - lift heavier weights! There is a time and place for high rep counts but when trying to gain mass, it is NOT the time. Why? Focusing on heavier weights increases your strength and you will slowly start using more weight for more reps. As your total work capacity increases (amount of weight used times the number of reps you perform), you will start to add more mass. Rule #4: The most simple and enjoyable of all of the rules. Get a lot of sleep! Getting enough sleep helps your body grow and repair itself. Not getting enough sleep will keep your muscles from growing and you will feel sore longer. 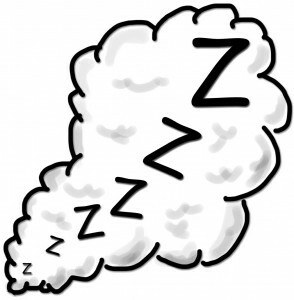 When you are getting enough sleep, your growth hormone levels will continue to increase. Your goal should be to prioritize your rest just as much as your meals and workout. Following these rules and just simply putting in the work needed will help you put on the mass that you desire and get you one step closer to your fitness goals! New School Year = Busy Schedules.